Once again THANK you to all the Blue Star members of Pirate4x4.com who continue to support national land use issues with their donations. 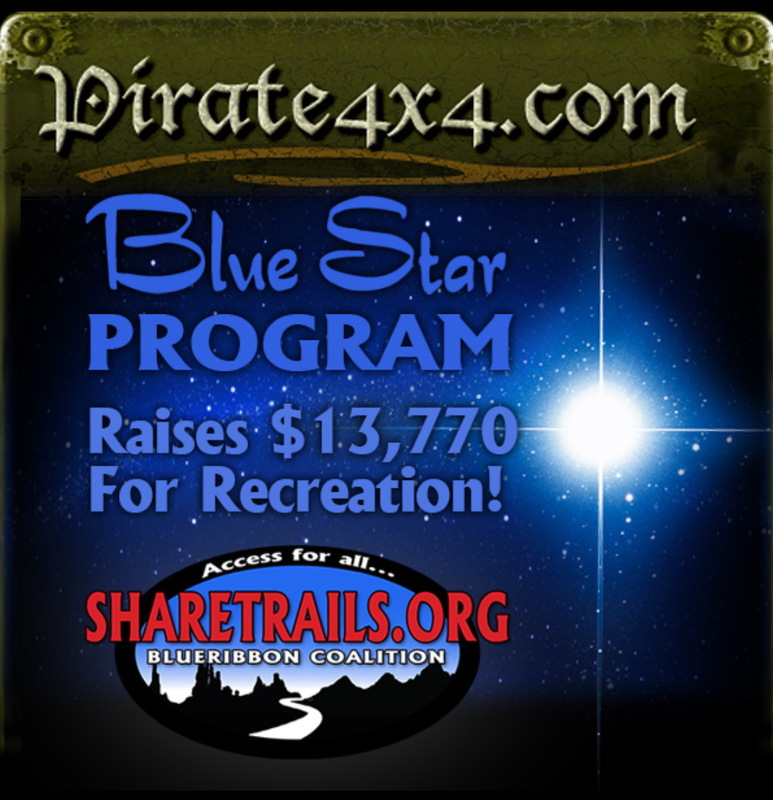 The great folks at Pirate4x4 ship those generous donations every year to BlueRibbon Coalition/Sharetrails.Org, the largest grassroots organization in the country, fighting every day to protect our access for motorized recreation. 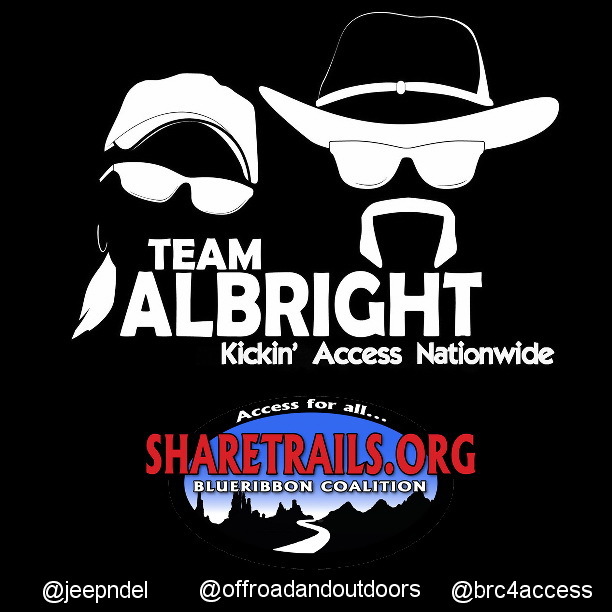 Stacie and I work for you as your primary Sharetrails/BRC reps in the 4x4 world and we stand proud of the many successes we’ve helped you achieve through BlueRibbon Coalition and its many partner organizations/associations like Calif. 4WD Association (CA4WDA) and others. It takes a team. Please continue to support Pirate4x4.com and the Blue Star program. This rocks it!